May 29, 2014 February 10, 2016 ~ Sara W.
Being that Memorial Day Weekend is the unofficial kick-off to the summer season, I made an exerted effort to finalize our 2014 Summer Bucket List even though my kids still have a couple more weeks of school. It was a fun process to come up with what I feel is the ultimate summer bucket list. My list is comprised of items that we did last year along with some items I found on other summer bucket lists. I went ahead and linked to the original sources in an effort to better explain some of the activities on my list, plus to give credit where credit is due. 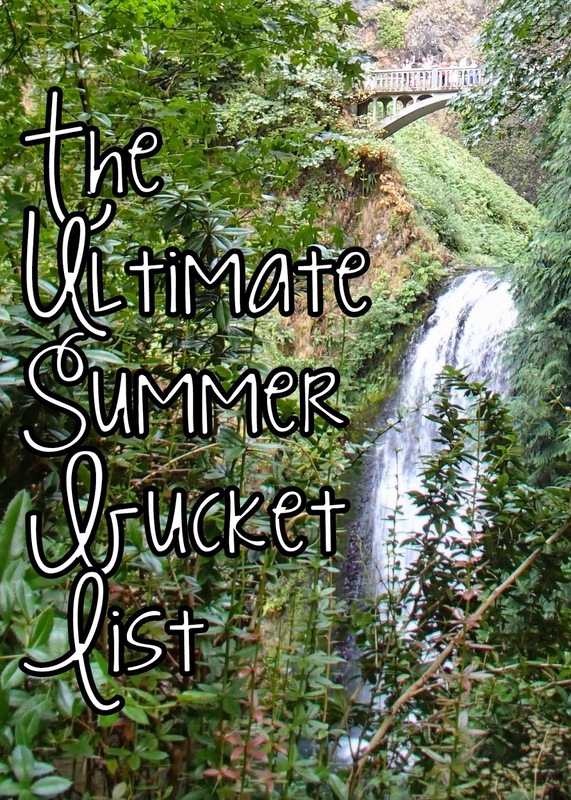 I hope this list gets you as excited about summer as it has for me! Visit a waterfall – Hopefully you’re fortunate enough to have one nearby. Find and Follow a YouTube Tutorial – I plan to have my girls look up a YouTube Tutorial on how to do Rainbow Loom bracelets. However, there seem to be countless tutorials on YouTube to help teach your child any number of skills. Have a Reverse Dinner Night – This is simple enough, just eat dessert first and bask in the glory of being the coolest parent ever (at least for the night). Take a Full Moon Walk – June 13th, July 12th, and August 10th are your dates for this activity! Do a Day of Service – Check out my Service Board on Pinterest, if you’re looking for some ideas. Celebrate a “National” Holiday – I’m using the word “national” loosely. This one is referring to the sillier national holidays; such as National Doughnut Day on June 6, National Ice Cream Day on July 20, or National Watermelon Day on August 3. Do Letter Boxing or Geocaching – I snagged a couple activities from a post I found on Inner Child Fun’s website titled 20 Favorite Must-Do Activities for Summer. Geocaching is #13 on her list. You can also get more information here about Letter Boxing, which is quite similar. Watch a Movie Outdoors – This may mean a Drive-In Movie for some. 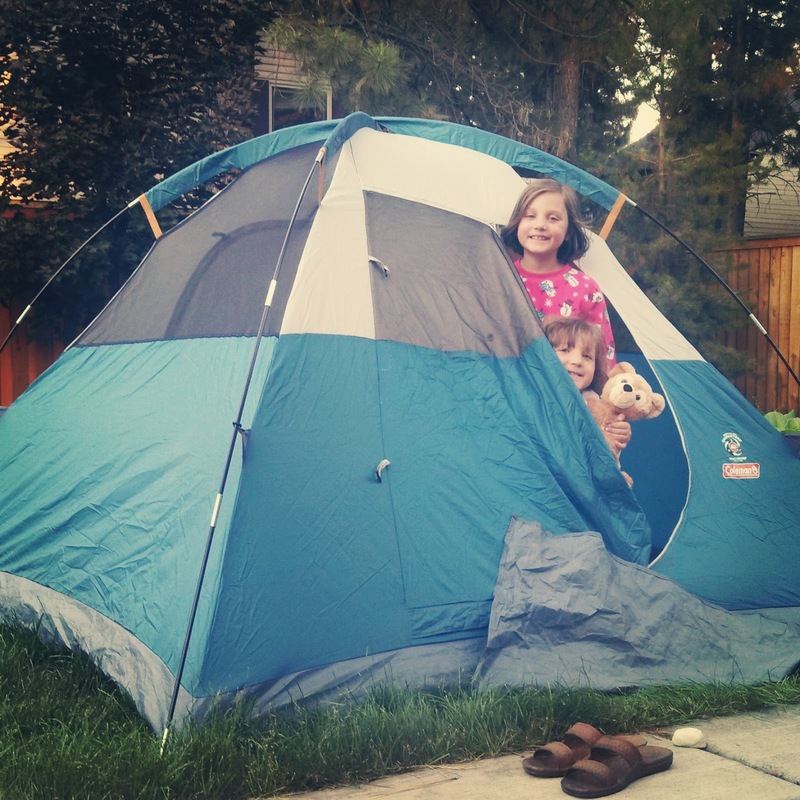 However, last summer we hosted this activity in our backyard. 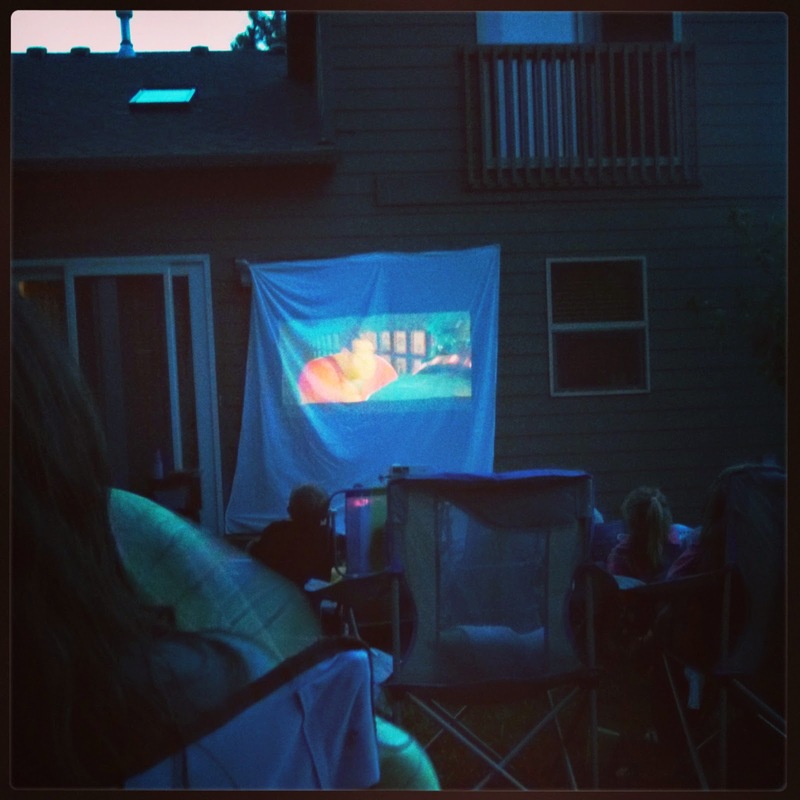 Thanks to the help of one friend’s projector and another friend’s sound system, we were able to show Wreck-It Ralph. The problem though with living in the Northwest is that it stays light so late in to the evening. Regardless, it sure made for a fun night! Participate in a Reading Program – I actually plan to get my kids signed up in a couple summer reading programs this year. We have one at our local library, but I also learned that Barnes & Noble has a great one for the summer as well! Make a Popsicle Stick Puzzle – check out Love and Laundry’s awesome example! 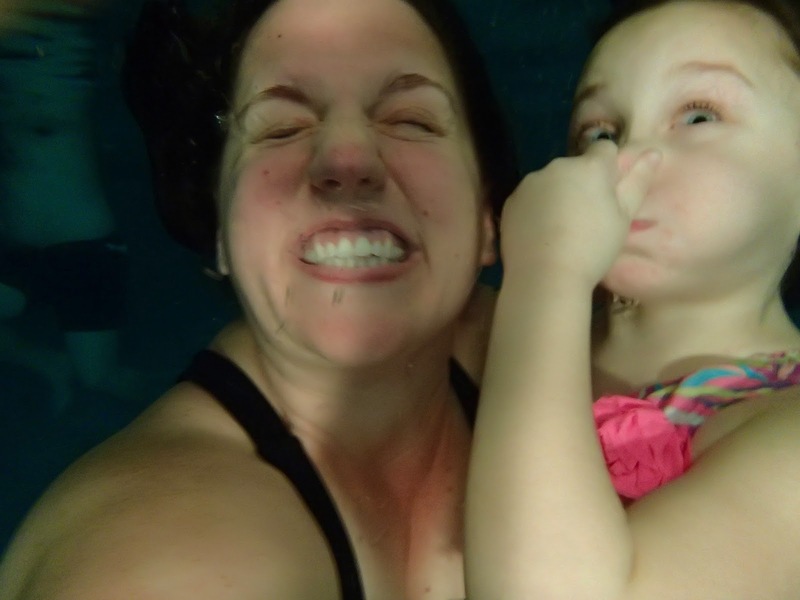 Have a Spongeball Toss – I’ve seen this called Spongeball Toss, but Inner Child Fun refers to them as Sponge Bombs (#3) on her 20 Favorite Must-Do Activities for Summer. Host a Talent Show – Check out one of my previous posts, The Power of a Bucket List, to see how much fun this activity was for our friends and family last summer. Read A Book, Then Watch the Movie – This post on Andrea’s Notebook is perfect to make your search easier for the right book-movie. Pick a Craft to Make and Make It! Play with Mega-Bubbles – Inner Child Fun’s post 20 Favorite Must-Do Activities for Summer teaches you all about how to make this activity possible. Check out #7 for the 4-1-1 on Mega Bubbles. Make a Pool Noodle Race Track – Another great source of ideas came from the article on Buzz Feed titled 33 Activities Under $10 That Will Keep Your Kids Busy All Summer. Number 32 on their list shows you how to make a pool noodle race track. Play Balloon Ping Pong – This activity is #25 on the same Buzz Feed article mentioned above. Make a Backyard Obstacle Course – While this is #33 on the Buzz Feed article, I think this one is best left up to your imagination! Do a Science Experiment – I have this one on my list since my eldest is a lover of science. I didn’t have anything particular in mind, but just last night I stumbled across this way cool link on Pinterest from Growing a Jeweled Rose, which shares cool summer science experiments for kids! Make a Painters Tape Spider Web – Here’s the last one I snagged off of the 33 Activities Under $10 That Will Keep Your Kids Busy All Summer. It’s #26 on their list. If you want a cute and handy little print out to put up somewhere in your home of all of these awesome activities above, download The Ultimate Summer Bucket List. It’s FREE! I put it together so that I could reference it easily when the kids start to say they’re bored or I feel like I’m losing my mind, which will likely be happening the moment school is out! May this be your best summer yet! Great list! So many fun ideas! Thanks for including my book/movie list!